At Amusement Masters we love working with some of the best DMC companies across the United States. We’re known for providing exceptional event entertainment and amusements to DMCs and their clients – a win-win relationship for all involved. However, when we mention that this type of company is a niche that’s a large percentage of the clients we service we often receive the question, ‘What is a DMC?’. In the spirit of educating today, we’re sharing more about what exactly a DMC is and how using one might just be a great fit for your needs! A Destination Management Company (DMC) is a service offered by professionals to help provide you with an extensive array of services including expertise and knowledge on various events, event coordination, tours, trips, and locations to which you are choosing to travel to. 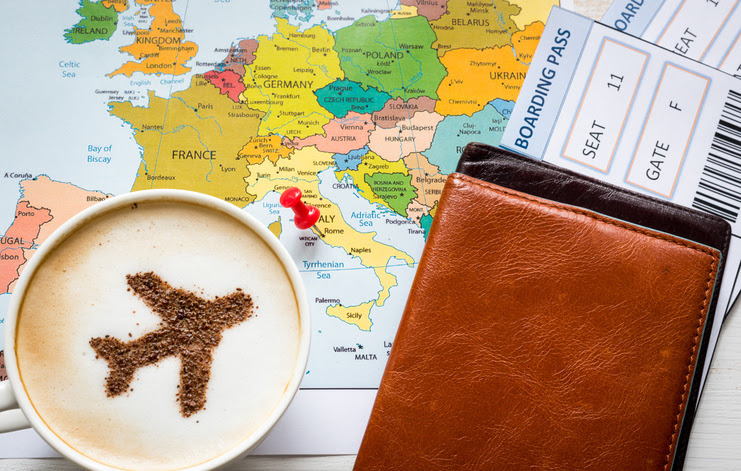 They can also help you work out the logistics of you and your group’s trip, such as travel and accommodations as well as events, activities, and things to do once you arrive at your destination. These services can continue throughout the continuation and duration of your stay. WHAT EXACT SERVICES DOES A DMC OFFER? A DMC can offer whatever kind of service you as need as a business traveler to make your trip (and the trip of your group) a memorable one. Most DMC companies will provide an array of services including anything from meeting venues to a business group to transportation from the airport to a final destination. Many DMCs will be happy to help book events during your stay if you want to visit local attractions or museums or find other fun activities and excursions to do. Many coordinate for business people the use of conference centers and places to hold their meetings. Others are happy to secure venues for parties and events. They are wonderful resources for finding someone to cater food, provide event design and decor, or entertainment for any event you may be hosting. HOW MUCH DOES A DMC COST? Cost will really depend on the services you need and how much work the company has to do as to what it will cost you to hire their services. Most DMC companies will charge a fee to hire their staff, and this fee will cover their research and booking costs for their time for the workers at the company. You will also have to pay separately for the services you receive based on the vendors or external companies they recommend you use for various services. DMC’s are great at working with budgets for functions and events to find something that meets the client’s price range. Be sure to let them know up front what you can spend so they find activities that fit within your budget. When you are giving the DMC descriptions of the events you want to book be sure to be as thorough as possible. Give details of what exact events you are going to hold or what specific kinds of travel your group requires. Specify the types of transportation and lodging you prefer. There’s no such thing as giving too many details. The more the DMC knows about your needs list the more they can do to meet your specific needs and expectations. It’s also a good idea to check with the DMC to see if their fee for their services is all they charge, or if they charge an extra fee for each individual event they book or service they provide. For example, many services can be marked up much as 10-20% of the cost of the service than if you were to find and book it yourself. This is in addition to the fee that the agency or company will charge on their own to even get them to do the research and booking for you. Be sure you are willing to pay all these fees by reading the fine-print before moving forward. From Nashville to New Orleans to Austin, Texas and beyond, we work with wonderful DMCs that are accomplishing great things for their clients across the United States. If you’re looking to build a relationship with a Destination Management Company feel free to click and connect with us – we’d love to connect you with a great DMC company or service near you!